It is always heart-warming to read of common folks turning philanthropists. 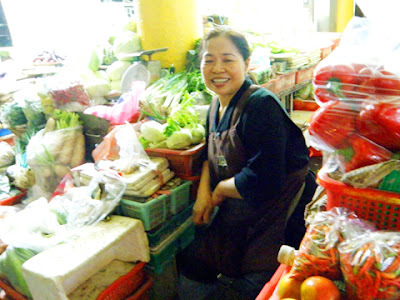 Ms Choo Hong Eng, 58, who runs a vegetarian stall in a coffee shop in Geylang, Singapore, has been making the news since she hit the jackpot at Marina Bay Sands (MBS) casino on Oct 18. She became an instant millionaire when she won RM1.03m on Oct 18 playing the Lotus Evolve slot machine at the casino. However, MBS refused to pay her the full sum. The manager told her the machine had a glitch. They would, however, offer her RM123,248 (S$50,000) and a sports car worth RM638,331 (S$258,962), which she could sell back to MBS for cash. Fortunately for her, casino patrons who were eye-witnesses to her winning strike were willing to testify that the machine clearly displayed the words "Cash Bonus" and the amount won. Encouraged by their support, she filed a complaint with the Casino Regulatory Authority, and prepared for a David-against-Goliath battle to claim what was rightfully her winnings. The CPA had two weeks to deliver its decision on the matter. But on Wednesday Nov 9 MBS informed Choo she would be paid the full amount. Choo subsequently withdrew the complaint. 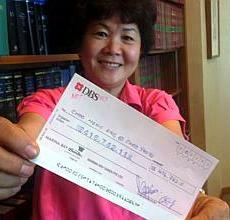 Two days later on Nov 11, Choo received a cheque for S$416,742.11 which she immediately banked in. Choo has just got her first cheque book and will soon be writing her first cheques to give away a total of $200,000 to 20 charities. A staunch Buddhist, she will host a dinner at the Singapore Buddhist Lodge on Nov 25 where she will present the cheques to the charities. Choo's story reminds me of other common people who could have used their money to live comfortably, but instead chose to help others with their money. 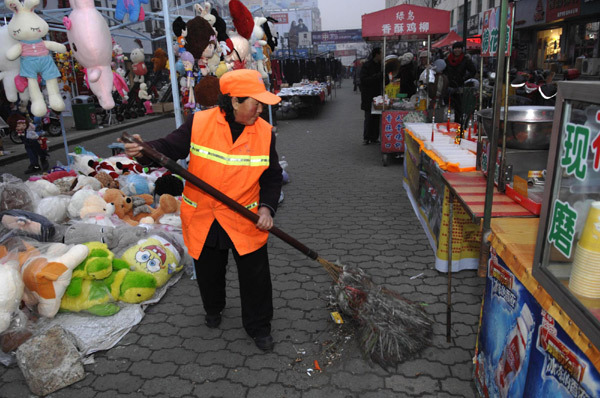 Sanitary worker and garbage collector Li Yukun, 64, has given away about 100,000 yuan of her earnings since 1998 to put 15 students through college. When she reached the retirement age of 50, she had to beg the Wendeng environmental protection department where she worked to let her stay on so that she could continue supporting the students. 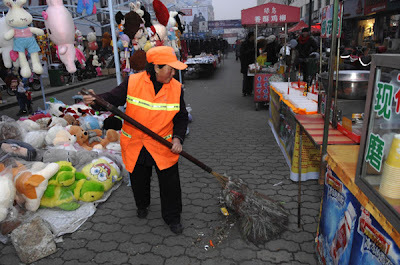 She also donated the 50,000 yuan which the Wendeng construction bureau gave her for living expenses. 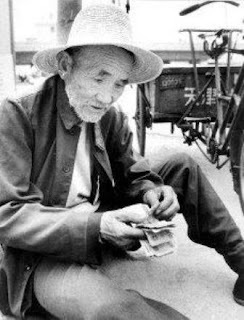 From 1986 at the age of 74, to 2000 trishaw driver, Bai Fang Li, donated about 350,000 yuan (S54,200) of his earnings to finance the education and living expenses of more than 300 hundred poor students. In 2001, when Bai was 90 and unable to peddle trishaws anymore, he turned to looking after people’s cars at the station. He saved up to 500 yuan and made this his last donation. He passed away in 2005. Three years after his death, a movie was made to document the story of this kind-hearted octogenarian trishaw driver. Chen Shu-chu, 60, sells vegetables in a stall in Taitung County's central market, in eastern Taiwan. From her earnings and savings, she has managed to donate nearly NT$10 million ($320,000) to various causes, including $32,000 for a children's fund, $144,000 to help build a library at a school she attended and another $32,000 for the local orphanage, where she also gives financial support to three children. 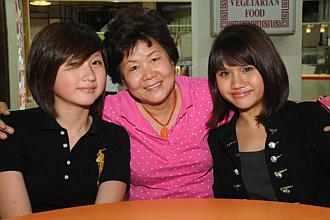 "Money serves its purpose only when it is used for those who need it," says Chen. Already her story has inspired many people to contribute to help others. She was on TIME's 2010 list of 100 most influential people. 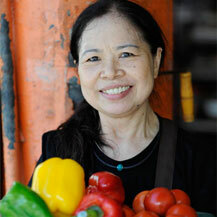 In March last year, Forbes magazine named her one of 48 outstanding philanthropists from the Asia-Pacific region. In November, Reader's Digest picked Chen the winner of the Asian of the Year award. These incredibly generous and warm-hearted folks have shown that we don't need to be rich to help others. A little savings accumulated over the years, or donated on a small but regular basis can be a life-line to others who are in dire need of support. Aid doesn't always have to be money. 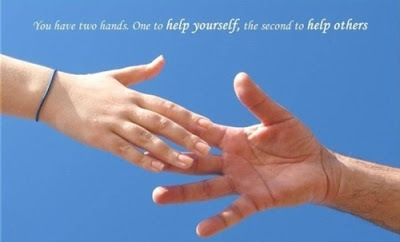 Retirees who have time on their hands can offer to help out at NGOs or welfare organizations. They are always in need of manpower.